Stolen by an Alien written by Amanda Milo. I saved a Gryfala from her buyers, better said I stole her from her buyers. I did a good thing, she screamed for help and I found her. Only there is one thing, she doesn’t look like a Gryfala, she doesn’t sound like it or acts like one. And I can’t understand her. What is she and why am I reacting like this, protective and possessive. I need to bring her back to her home and get back to my life. I was saved, luckily on time, by an alien. I know, it can’t get any stranger. Okay maybe, I’m not on Earth anymore and I don’t know where I am. Only that I woke up in an action pen, got sold and now I’m here with this guy, if you could call it a guy. Now I need to find a way to get home and too make him stop calling me Princess, because I’m not that, will never be and certainly never going to happen. I’m human and I want to go home. 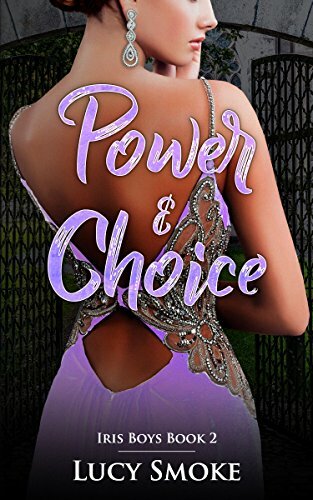 Power & Choice book 2 in the Iris Boys by Lucy Smoke. The Iris Boys black team has moved into Knix’s house and Harlow has her own special made room complete with an ensuite bathroom, saving her from having to share with Bell, Marv, and Texas. Marv takes Harlow to meet his mother where they learn that girls from the upper echelon of society after having attended an etiquette school run in upstate New York. Marv starts to take what happens to the girls personal after talking to some of the parents. He wants to take on the case, but Alex, their team go between, doesn’t think that their is even a case there. Alex agrees to the mission finally and Harlow requests to go undercover at the etiquette school in order to find out what is actually going on and who is to blame. The kiss of Death, Demons Muse Book One by Auryn Hadley. First of all, I really love Auryn and her worlds she creates. I’m a big fan of hers. I can’t write the story in short here. I tried believe me, my backspace button is fading right now. And it is not because I don’t know what to say. I want to say too much and tell you the whole book. So no, no synopsis from me this time. You can read the synopsis on her site or Amazon. It tells you enough about the book to start reading and not so much that you know the whole story. I can only tell you how good the book was, that it is something you need to read. Like the other books of Auryn. I really like the way how she explains the religions and Death, demons, angels and other creatures in the world. I really want to believe that is how it is. Sorry I really like the demons in this book and I have always been a demon person. Auryn creates the characters so good. Love the guys in the book, the mc Sienna is awesome, fun and doesn’t back down from a fight. Nick is somebody I love to meet and Luke, Sam and Beelzebub (Bel) are great, they add so much to the story and give so much back to Sia. I can’t wait for the next book really excited about how Sia and the guys will grow, how their relationship grows and what will happen next. Have a really nice read. Phoenix Descending, Curse of the Phoenix book one. By Dorothy Dreyer. A sickness is spreading throughout the world, but it is hitting Drothidia rather hard, the home of Tori Kagari. This sickness took her sister and now it is planning on taking her whole family. She need to save them, she is forced to work with the Khadulians, who have the cure for this sickness. And to save her family, she agrees to go on a dangerous mission. 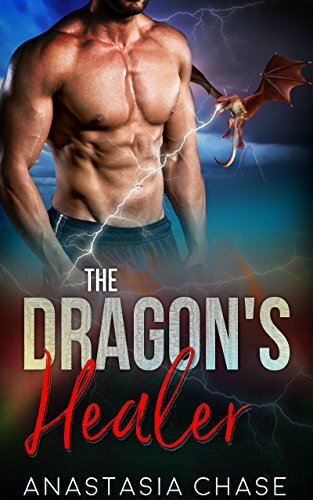 Her mission, to travel to Avarell and infiltrate their queendom and find out their secrets. Pretending to be someone you’re not sounds easy, it is only so much harder when you are being watched. Every lie she tells, every theft, every move she makes can bring her closer to her death and that of her family. How will she survive in a place that kills so easily, how will she fulfil her mission and save her family without losing herself? 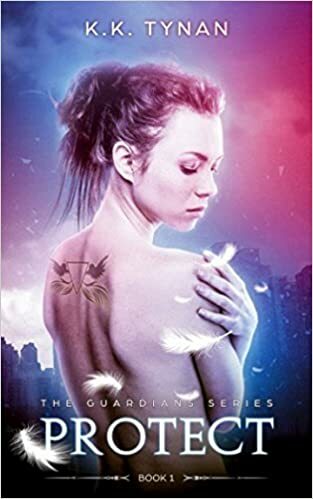 Protect, Book 1 in the Guardians Series by K.K. Tynan. Rose is a librarian at a specialty library called the TOMBS (Treasury of Magical Bestial Studies. She was excited to get to join to further her own research of studying lost cities, though her first priority was to the benefactors of the library. While on her way out, two creatures attacked her forcing her into shift. But not a normal shift. Rose turned into a small auburn mouse where she was then saved by Keyne a man tasked with protecting her. She is brought with him to his organization and helped to turn back human with the aid of Mags, an associate. Once she is back to her human form, Rose starts to question what is going on with her. She learns that Keyne along with Gris, another guardian, are going to protect her and find out why she was attacked in the first place. The three set off on an adventure to discover if the Lost City of Moberley in Missouri and to find out the secrets of a secret society that no one thought really existed.